We are backed by one of the foremost organizations, in presenting the finest quality of Armoured Copper Cable. The copper cable, which we offer are contrived by our experienced professionals using utmost grade materials and components. 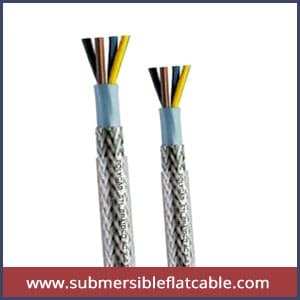 The cables consist of precisely engineered copper conductor cables and armoured copper cable. The cables provided are prepared using the contemporary techniques which are adopted to assemble strong cables that can handle tremendous conditions. We are taking the utmost care that ends are not rough and don’t have any sharp edges, to make sure the wires which are not damaged while installing. Our Armoured Copper Cables are mainly used for connecting batteries in auto industry and inverter batteries which are delivered within a specific time-frame and offered at a reasonable price. Additionally, we are offering cables which are widely appreciated among the customers for their resistance against abrasion and corrosion and high tensile strength features. The wires in armoured cables are covered by flexible steel. It protects against mechanical damage. It has additional protective layer. Its protective layer is made of steel sheath. These cables are used in under grounds. Good conductor of the electricity. Flow of the electricity is easy. The melting point is very high in copper to other metals.